A franchise quarterback, a core of young playmakers and a Super Bowl win in hand. 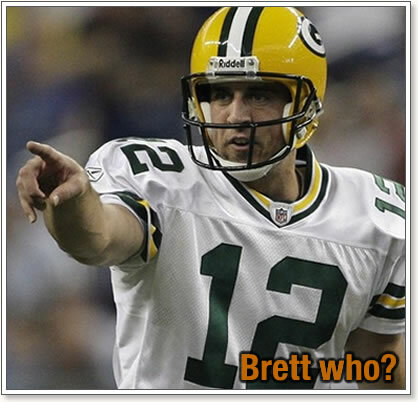 There’s too much to like about the Green Bay Packers this 2011 NFL football season. Last weekend, four high-ranking NFL personnel executives, on the promise of anonymity, agreed to predict the conference champs and Super Bowl winner for the 2011 season, and all chose Aaron Rodgers and the rest of the Green Bay Packers at least to return to the Super Bowl. Two picked them to win the title, a third chose New England and the fourth San Diego.